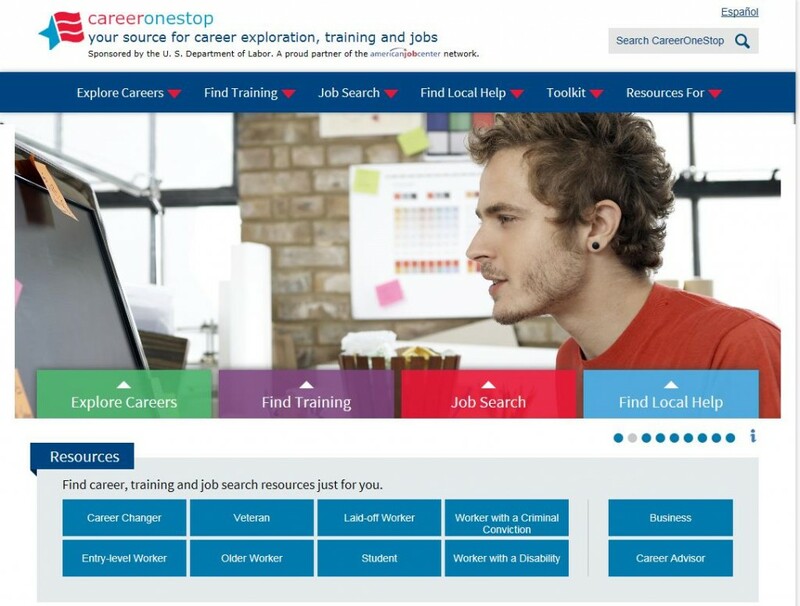 Coming soon: CareerOneStop has a new look! Look for an updated CareerOneStop website in early 2015! Explore Careers includes quick access to occupation details as well as information on self assessments, career planning, and more. Find Training features quick access to find local training programs as well as information on training options, certifications, licenses, financial aid, and more. Job Search includes CareerOneStop’s newly enhanced Job Search, featuring daily updated job listings from US.jobs, America’s Job Exchange, CareerBuilder, and indeed, along with tips on networking , resumes, interviews, and more. Local Help features the American Job Center Finder and nearly a dozen additional tools to easily locate and find contact information for local workforce services across the United States. The Toolkit lists all of CareerOneStop’s online tools—more than three dozen in all. Resources for. . . provides direct access to CareerOneStop’s targeted resources for veterans, businesses, people with criminal records, laid-off workers, career professionals, workers with disabilities, and others. ‹ Not seeing results in your job search?